The rental side of the market has rocketed over the last few years, and we're hot on it. In fact a large portion of our business is now dedicated to rental properties in the Deeside area. Use the search facility below to see what we currently have to offer. Please familiarise yourself with our Guide for Tenants below to ensure you qualify as a legible tenant. Contact us if you have any queries whatsoever. Once you have found a suitable property with Keystone you will need to complete a tenancy application form and pay a referencing and administration fee of £120 (inc of VAT) per person. Please note that application fees are not refundable unless the property is withdrawn from rental. Please also note that if your application fails due to non-disclosure of bad credit, or we receive a bad reference from a previous landlord, then the fee is non-refundable. We ask you to pay this fee to cover the administration costs of preparing the tenancy documentation and costs of credit and other references. Completing an application form does not guarantee that the tenancy will be offered to you. Every application form we receive is checked by UK Tenant Data – one of the leading independent referencing agencies, for them to then advise on the suitability of the tenant. In some cases it may be necessary for the tenant to provide a guarantor who would be equally liable for the rent and any repairs that may be required to the property at the end of the tenancy. The guarantor will also have to pay £100 for administration fees and credit check. To support your application you will need to provide a photographic form of identification. Any one of the following documents will be accepted: your full driving licence (new style), your passport or an identity card issued by the Government. You must also bring in payslips and bank statements from the last 3 months and evidence of where you are living at the moment e.g. utility bill. The Landlord will make the final decision as to whether the tenant is acceptable. They may base this decision on a number of factors including: number of occupants, tenant's status and length of tenancy required. Should your application be successful you will then be offered a tenancy subject to the terms and conditions included in the tenancy agreement. At that point you will be required to pay a deposit that amounts to your first month's rent. You will also need to pay in advance one month's rent. It could take a minimum of 7 working days before you will be able to move into your property. Although every effort will be made by all parties to accommodate your moving date, unfortunately, no guarantees can be made. You will be notified if your application has been successful. Once your application has been approved, a mutually convenient time and date will be agreed for the tenancy to commence. At this point it will be necessary for all prospective tenants to attend the office to sign the tenancy agreements and other relevant documentation. Once the Tenancy Agreement has been signed you will receive a copy for your reference. You must pay an advanced payment of a month's rent and the security deposit must be paid before the keys can be released. If a date is agreed that is more than 2 weeks from the application then we will require a £200 non-refundable holding deposit which is deducted from the main deposit when required. 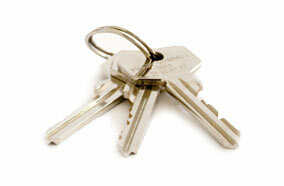 The Landlord is not responsible for insuring any of your personal belongings. Therefore we strongly recommend that you obtain adequate contents insurance. If you would like a free, no obligation quotation please speak to us. 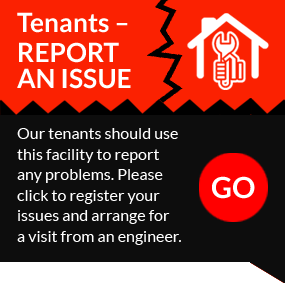 If Keystone is not managing the property we will provide you with your Landlord's contact details, in case you have to report any maintenance problems or need to contact him for any reason. Keystone will contact gas, electric and water suppliers notifying them of meter readings at the commencement of the tenancy. We will also contact the local authority to change the name for council tax purposes. NB You should contact the utilities yourselves within 2 weeks of the commencement of the tenancy to confirm that your details have been received. You should report any maintenance issues to the Keystone office in a timely manner. We are a member firm of the Property Ombudsman Scheme as required by law from 1 October 2014. Tenants deposits are registered with the Deposit Protection Scheme (DPS). We endeavour to provide peace of mind for our clients that they are working with a trusted and reliable service provider. Launched in November 2015, Rent Smart Wales is the product of the Welsh Government's bid to "improve the image" and "raise the standards" of the private rented sector while also improving knowledge and understanding in the sector. It puts a requirement on every landlord of a rented property in Wales to register with the scheme, while those who self-manage must also obtain a licence. Due to an increasing amount of 'red tape' put in place by the local authority and Welsh Government, many landlords have taken the decision to instruct a letting agent to manage their properties on their behalf. As a Rent Smart Wales licensed letting agent, we can help every landlord comply with the new legislation. We can save you the cost of obtaining a landlord licence and the hassle of ongoing training. Keystone have fully trained all staff to comply with the requirements of Rent Smart Wales and are now fully licensed. Speak to a member of our experienced team to find out more information.